Gifts are something we all get excited for, not just kids or teens; even adults show excitement when it comes to unwrapping presents! 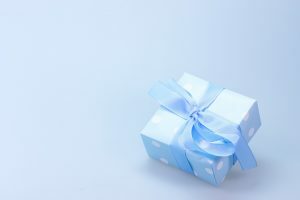 Though some give anything under the Sun as gifts irrespective of whether the recipient would like it or not, there are others who provide thoughtful presents. You can’t run away from these things called ‘gifts’! Any occasion calls for it, be it someone’s birthday, a festival, or any other ceremony. How can you be a good gift-giver you ask? Well, we have some steps designed in mind, which you can quickly follow and that would not cost you a bomb. We will share the tips with you here. • Refrain from impulse shopping: Decisions taken in haste are never right. We hope you agree to that! Similarly, when you go to purchase gifts for your loved ones or a colleague, make sure you have some spare minutes so that you can give yourself some time to buy the right gift, which the recipient would love! Do not do impulse shopping especially by being motivated by the retailers or salespeople who coax you into purchasing an item, because there are chances you would only regret it later. • Gift gifts that would add to their experience: They say material things are bad; well, not always! Things that would add to your loved ones’ experience surely isn’t a bad idea. For instance, is your son waiting to attend some rock concert, or is your friend dying to go to Disneyland with his family? No points for guessing you could be the best gifter ever by sponsoring for their tickets! Movie tickets, tickets for amusement parks or concerts, music festivals and more would show how thoughtful you are. • Donate your belongings: Giving away things to the needy that you do not need any longer is the best thing you could do. All those extra things at home or the extra cash in your pockets could be easily donated to the lesser fortunate lot. Earn their blessings by doing this small act of kindness. • Take your time: When buying gifts, procrastination is not desirable at all. Do not wait for the last minute to buy a gift, be it for anyone. Last moment activities mostly end up being disasters. 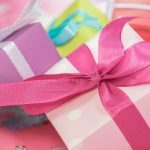 Yes, if you are waiting for the sale season to buy gifts for others, that is a different scenario altogether, and there is nothing bad about it. You can also use DealVoucherz to get products at discounted rates from online shopping portals. Do not forget to keep your eye on the calendar though! 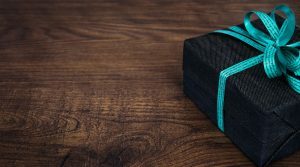 • Give something that would be of use to the recipient: The best thing to do before gifting is asking the person what they exactly want. However, out of formality and awkwardness, no one says what they want. What you could do is carefully observe the people, talk to them indirectly, and try to get information about what they would likely have. Imagine wanting a PlayStation for long, and then getting exactly that on your birthday by your girlfriend! • Tone down the wrapping: When you wrap a gift with decorative layers one after another, it increases the recipient’s expectations by leaps and bounds, and there are chances that the actual gift may disappoint them because their expectations rise to a height! The best way is to wrap a gift with a brown paper or any other simple wrapping paper and then add a stick note to it before presenting it to someone. • Give gift cards if nothing else works: Though gift cards can give an impression that you are a li’l unemotional, lazy, or so, it can be the best gift when nothing else comes to your mind. Your loved ones can shop to their hearts’ will with the gift cards and buy whatever they like and what they want to. These easy tips will make you the best gift giver among your friends or office circle. Be sure all of them will hold you in high esteem. Thanks for reading and do follow these tricks! Thank you. Comments Off on How you can be the best gift-giver without spending too much cash!